E-scooters are all the rage these day. These compact electric scooters are popping up all over it seems; and startup companies like Bird, Lime and Razor now offer affordable rentals through shared ride smart phone apps. It sounds like a win-win proposition, doesn’t it? Unfortunately there are huge access issues associated with these e-scooters — which have actually been banned from many large cities. The problem isn’t with the access to the scooters, it’s more about how – or where – customers return them. The rental companies don’t have offices or rental lots, and the scooters can be picked up and dropped just about anywhere. New customers use the app to find an available scooter, and then just leave it at their final destination. And although customers are cautioned to make sure they don’t block the sidewalk and to make sure the scooters are properly parked when they return them, apparently that’s not happening. And it’s starting to turn into a big problem for wheelchair-users who encounter sidewalks that are blocked by improperly parked e-scooters. In fact, it’s become so much of a problem in San Diego that the law firm of Neil, Dymott, Frank, McCabe & Hudson along with Disability Rights California filed a class action lawsuit against Bird, Lime ,Razor and the City of San Diego, for what they claim is a violation of the Americans with Disabilities Act (ADA) and Section 504 of the Rehabilitation Act of 1973. The lawsuit challenges the failure of San Diego and private scooter companies to maintain accessibility of the city’s public sidewalks, curb ramps and cross walkways for people with disabilities. According to Menasche, as many as 150,000 disabled San Diego residents may be impacted by this issue. 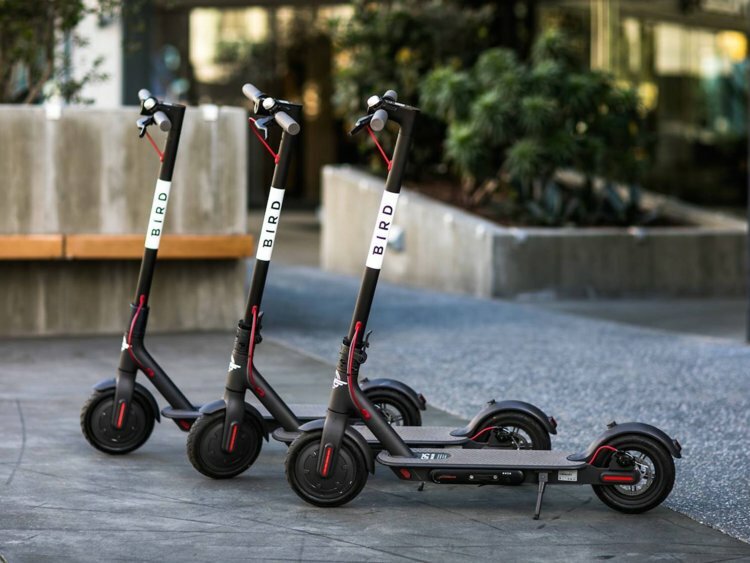 The plaintiffs are asking for injunctive relief to prohibit shared-use e-scooter companies from operating in San Diego, as well as monetary damages for everyone who has been denied access as a result of this business model. Stay tuned – this could one of those precedent setting cases. For more information about the lawsuit, or to follow its progress, visit https://www.disabilityrightsca.org/cases/montoya-et-al-v-bird-rides-inc-et-al. This entry was posted in Destinations, Editorial, Ground Transportation and tagged ADA, Bird, Disability Rights California, e-scooter. dockless scooter, electric scooter, lawsuit, San Diego, scooter, Section 504 by Candy B. Harrington. Bookmark the permalink.